A number of artists explore finding beauty in the worn, aged and imperfect. Includes work from Josie Beszant, Victoria Brookland, Alice Fox, Suzanne McIvor and Victoria Sayers. 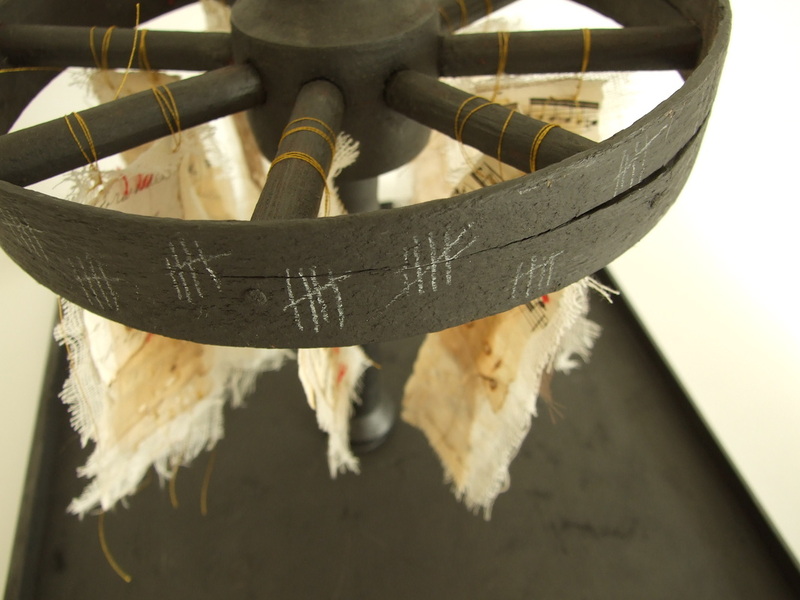 Josie's work utilises found objects in combination with paint collage and stitch. 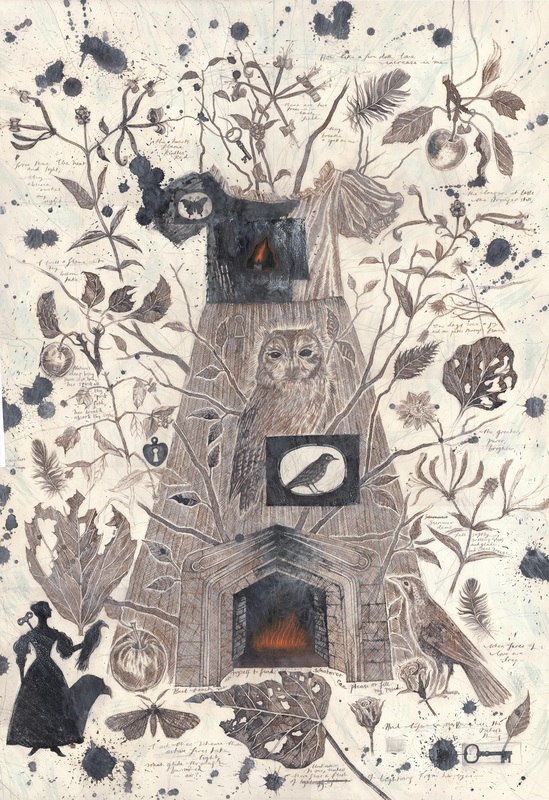 Her recent work is based on reliquaries and carries a sense of shared memory and melancholy. For a review of recent work click here. 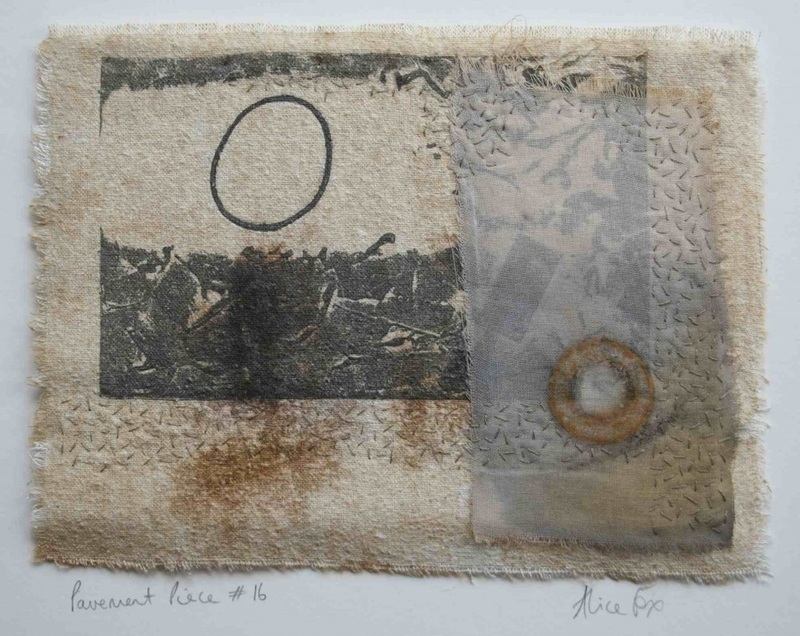 Alice’s acutely observed work combines the textural qualities of textile and printmaking processes, including rust prints, naturally sourced mark making, embossing and collagraph printmaking. She builds up layers of print and stitch to make contemplative artworks that embody a particular place rather than represent it directly. Much of her work is currently based on coastal themes and she was artist in residence at Spurn Point National Nature Reserve during 2012. Alice is a member of the Society of Designer Craftsmen and Prism. 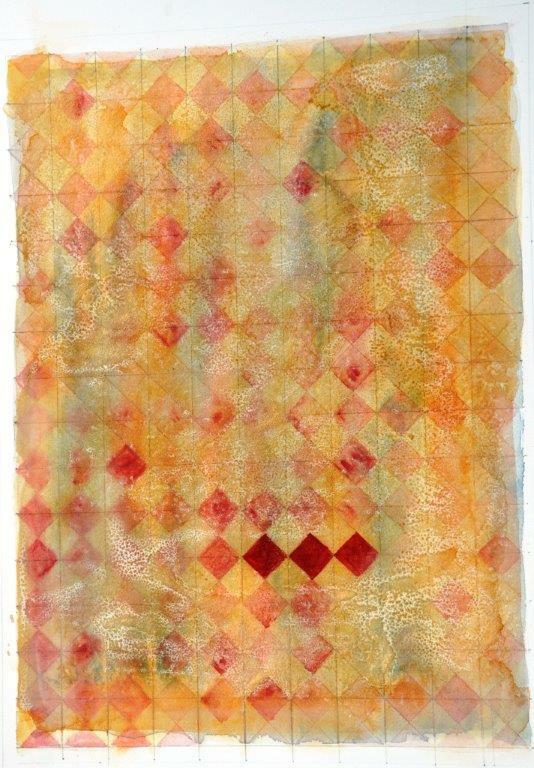 She was awarded the Quilters’ Guild Graduate Showcase bursary in 2011. 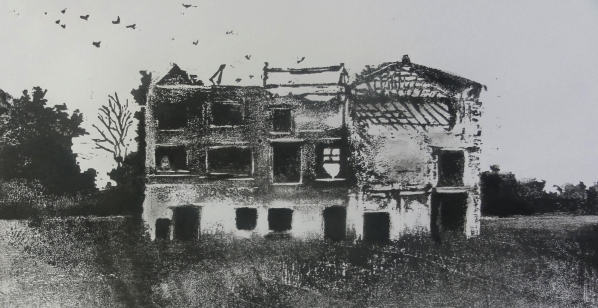 Suzanne is inspired by the ruins of the abbeys that fill North Yorkshire. Works of art or architecture that once were perfect now worn/damaged/eroded/ washed away by time and presented not as the artist or architect had originally intended but as fragments of their former selves. In her work, verticals, horizontals, circles and diagonals endeavour to create an illusion of continuity and permanency. Woodcut is a relief printing technique in which a design is carved into the surface of a block of wood (I usually use Japanese Birch), with the parts to be printed remaining level with the surface while the non-printing parts are removed, typically with sharp gouges. In a simple black and white print the areas to show white (the colour of the paper to be printed on) are cut away with a knife or chisel, leaving the design to be covered in black ink on the original surface level. The surface is covered with ink by rolling over the surface with an ink-covered roller (brayer), before pressing the wood against the paper either in a press or by rubbing the back of the paper (burnishing) with a baren (a flat bamboo disc) or other tool. In multi coloured prints, each time a colour is printed the parts of the design to be left that colour must be carved away before the next colour is printed. To see the whole fascinating process please click here. Ian Scott Massie has produced four small watercolours for this show they focus on aged abbeys, beloved ancient hills and a skeleton of a ship. His work, as ever, strives for the personality of these places.